Our Holiday Academy Pack Walk 2018 will be on Tuesday December 18th. Please meet at Lilacia Park at 6:30pm. Please dress yourselves and canines appropriately for the weather!! We had a ton of fun just helping the parents focus on their priorities instead of our regular curriculum. It was a great way to end the year in the Academy!! January 2019 is here and it’s back to school for all!! contact BRKACADEMY@BELLYRUBKLUB.COM to learn more and sign up for the Academy!!! The BRK Day Training Academy is starting up again for 2019!!! For M/W students class begins 1/7/19 for T/TH students class begins 1/8/19. The Bellyrub Klub’s Day Training Academy, is an alternative to or, in addition to all day Off Leash Play.This program is structured just like School but will take place while you are at work!!! Between morning drop off and evening pick up, each canine participant will work through Grade Levels 1-12, plus an Associate Degree, a Bachelor’s Degree and a NEW Masters Degree!! 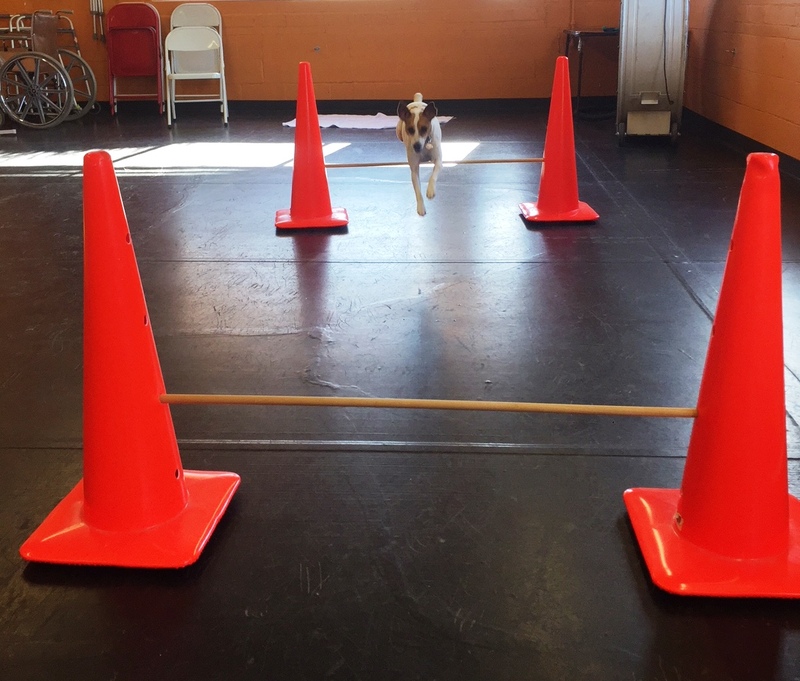 Your Canine’s will be learning basic obedience, impulse control, crate training, door manners, recall, focus with distractions, social skills, presence control, tricks, agility, all kinds of fun things and more! The full list of what will be taught is taught by only Certified Instructors. If you missed the Pet Parent Orientation, let us know and we can get the information to you asap. We discussed the program in general, what you can expect from us, what your dog will learn as they move through each grade level and, we’ll answer all your questions. This is a great alternative, or addition to, Off Leash Play!! It’s an awesome way to reinforce the behaviors we love all our dogs have so they are great family members!! Each month, the Parents will receive an Academy report, with pictures! to discuss what we worked on, their successes and areas we want them to keep working on because they are ” oh so close” to mastering them!! Many jump a few levels each month! They are all so smart! We currently have a waiting list so please call if you are interested. We want to be sure your canine can get started asap. The majority of the students renew every month. Payment for the following month is due by the 21st of the previous month to hold your spot in the Academy. Its a great program! 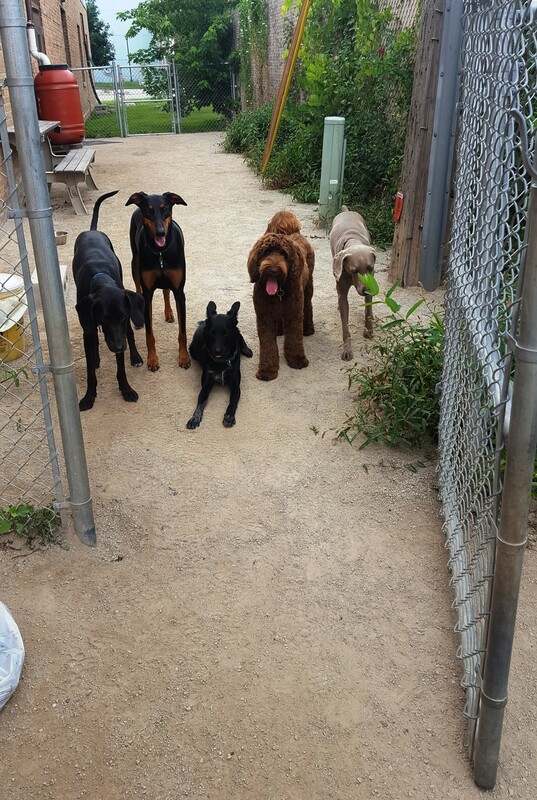 There are dogs that were not great candidates for Off Leash Play that now Play in Groups each week! How cool is that? Some are doing both the Academy and the Play Groups now! !